The Estonian Museum Association celebrates it’s 30th anniversary with an annual Museum Festival in the Estonian border town Narva. The festival will take place on the 24th and 25th of September, and this year’s theme is “Museums and a Recent History”. 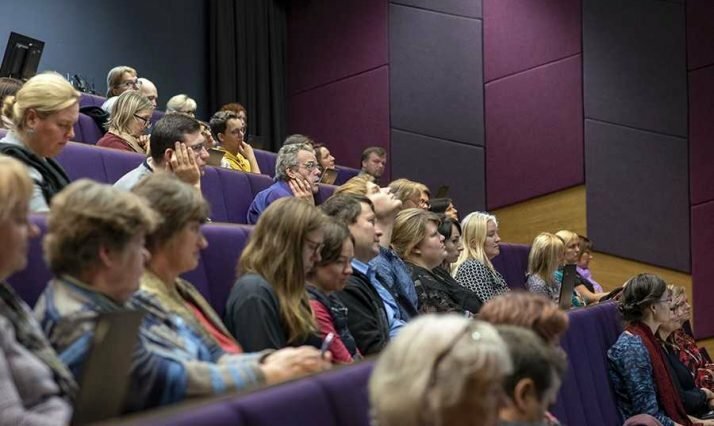 As part of the festival, a conference will be held to discuss how to collect, exhibit and preserve modern materials and how to mediate sensitive topics to museum visitors. One of the key speakers is Anna Wowk Vestergaard from Den Gamle By Open Air Museum (Aarhus, Denmark). She will introduce the museum’s newest exhibition, “Modern town”, and give an inspiring presentation on the methods for exhibiting recent history at grass root level and through the eyes of individuals and their environments. The museum conference will involve an expansive program that will touch on recent history and the themes of everyday life. In addition to Vestergaard’s lecture, there will be presentations on the issues of creating museum exhibitions on the world wars and political events from recent history. Rafał Wnuk, former curator of the Gdansk II World War Museum, will speak about a discussion that arose in society as the museum was making a new exhibition. Narva College will stream the conference for all interested to see. Please find the link here. Anna Wowk Vestergaard has been invited to come to Narva with the support of the Danish Cultural Institute in Estonia, Lithuania and Latvia.